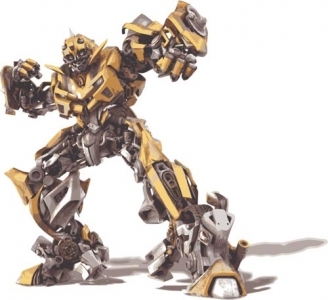 The kids love the Transformers movies and you might love Megan Fox, but these awesome Optimus Prime and Bumblebee vector autobots are the stars here. 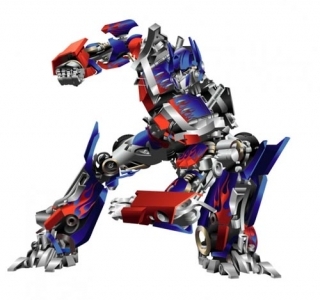 The kids love the Transformers movies and you might love Megan Fox, but these awesome Optimus Prime and Bumblebee vector autobots are the stars here. Transforming machines with tons of details and awesome poses for you now. These cool vectors are very good for business cards, to create Photoshop layered design with actions, for brushes and patterns, brochures and flyers, fashion design, logos and icons, web-design, or labels and stickers and so on. 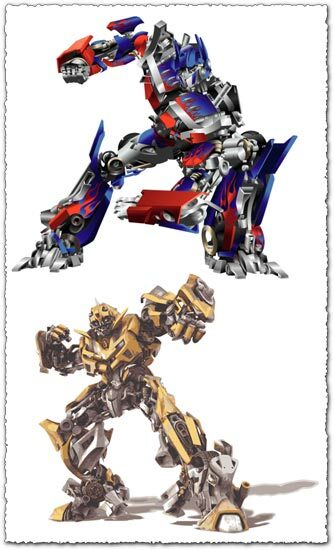 License: You can use Bumblebee and Optimus Prime transformers vectors for personal or educational purposes.